Tickets are not required for concerts unless otherwise indicated. For concerts requiring tickets, please contact the organizers listed below for those events,	as Fourth Church does not sell concert tickets. 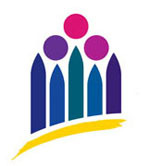 Each Friday of the year at 12:10 p.m., free Friday Noonday Concerts take place at Fourth Presbyterian Church—in the Sanctuary or Buchanan Chapel from September through June and outdoors in the courtyard off Michigan Avenue, by the fountain, in July and August. This Friday Noonday Concert Series is enabled by a generous gift in memory of Pamela L. McGaan, devoted wife and mother, lover of music, and longtime member of Fourth Presbyterian Church. Weekday evening and Sunday afternoon concerts are also offered periodically throughout the year. To receive the weekly “Music Notes” email about upcoming concerts at Fourth Church, send your email address to music@fourthchurch.org. 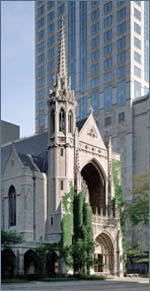 For more information about concerts at Fourth Presbyterian Church, contact Chris Norton, Music Coordinator (312.981.3595).